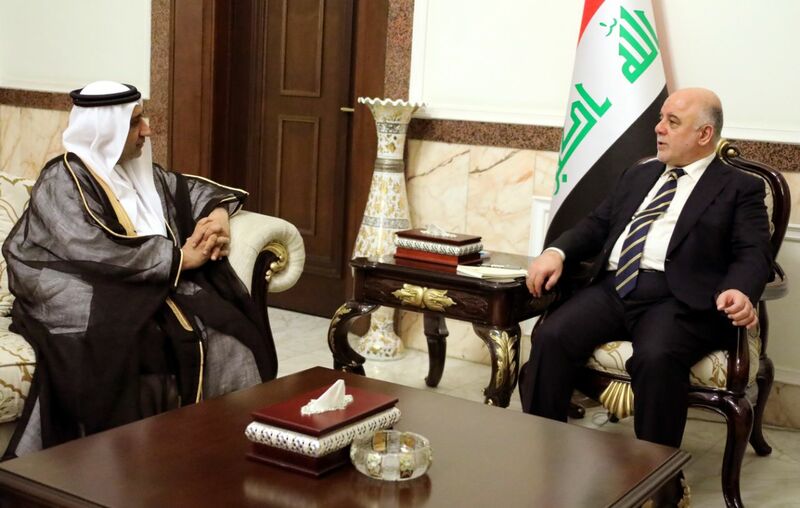 His Excellency Prime Minister Dr. Haider Al-Abadi has received, Today on Sunday in his office, Ambassador of the UAE to Iraq Hasan Ahmed Al Shehhi. The Ambassador has noted that Sheikh Mohammed bin Zayed and his belief in the relations between the two fraternal countries and the role of Iraq in the fight against terrorism, he is submitting an initiative to reconstruct locations in Mosul. The UAE ambassador has said that a special envoy from the United Arab Emirates would come to Baghdad for this purpose. Dr. Haider al-Abadi has reassured that Iraq's keenness to strengthening relations with the UAE and all countries on the basis of mutual interests and serving the two nations, Noting that Iraq is currently at the forefront of countries that fight terrorism after winning militarily over Daesh's terrorist's gangs and Iraqis will win the reconstruction and rebuilding of their country.